Are you having problems with your sewer? Do you need to inspect your pipes but you’re worried about having someone dig up your yard to do it? At Lightfoot, we now offer sewer pipe camera inspection in Benbrook, TX. 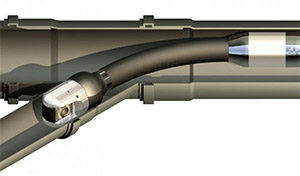 This allows us to look inside your sewer to see what is going on without destroying your yard. In fact, we won’t have to dig a single hole! We’ll start by finding your sewer access from inside your home. This may be in your basement near the rest of your utilities, in your garage, or outside near some of your outdoor plumbing. No matter where it is, we will find it for you if you don’t know where it is. Once we know where we can access your sewer from, we will send a camera attached to a cable down the entire length of your sewer, until we find where it attaches to the street. This sewer pipe camera inspection in Benbrook, TX will show us everything we need to know about your sewer. We’ll be able to see whether your pipes are intact, what sort of damage has occurred if there is any, or what sorts of clogs you might have inside your pipes. The camera also comes equipped with a digital device that will allow us to locate your pipes and the locations of any problems inside of them. When we have all of this information, we’ll be able to determine the best possible fix for your pipes. We will be able to determine what needs to be done to fix them and how best to proceed with the repairs. A sewer pipe camera inspection in Benbrook, TX can also help if you are purchasing a new home. It gives you a chance to take a look inside the sewer before you buy, so you can determine whether there are any potential problems so you can decide whether or not you want to buy the home or have the current homeowner make repairs before you purchase. No matter your reason for wanting a sewer inspection, call us today and we will get it done soon!